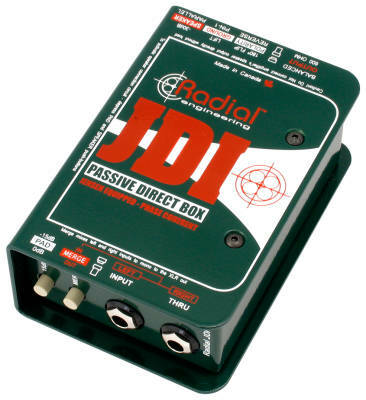 The Radial JDI is considered by many to be the worlds finest direct box. It is a passive DI that employs a Jensen isolation transformer for optimum audio performance offering outstanding linearity at all frequencies, combined with extraordinary level handling without introducing distortion. 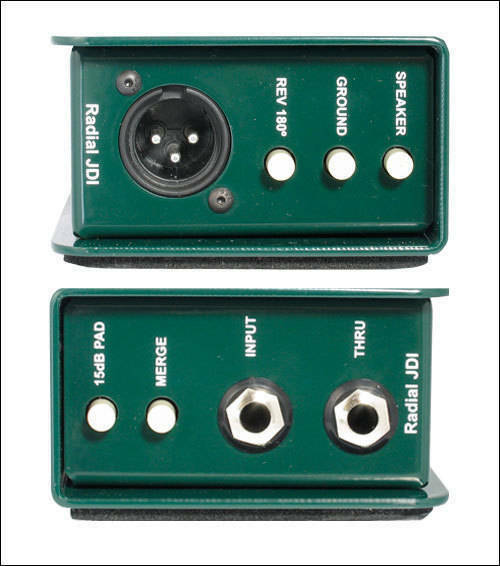 Being completely passive, the plug & play JDI does not require any powering and has the unique advantage of eliminating 60-cycle ground loops. This makes the JDI a definite favorite with informed audio engineers. The JDI is great for guitars, bass, and keyboards and is particularly adept with high-output, broadband instruments such as active instruments and digital keyboards. The JDI may be rack-mounted using the J-Rak and is also available in a stereo (2-channel) version called the JDI Duplex and the 6-channel rack-mountable JD6. I do not normally give 10 reviews for any product. However, having said that, this product is deserving of a 10. Solid build and incredible sound. I read a review of DI boxes in mixonline.com and ordered one. I needed a way to get great signal into my DAW for recording without colouring the bass and this did just that. The headspace you find when recording with this unit is unbelievable. You can drive your bass notes hard without having it distort or without maxing your input signal/chain on your board or AD/DA converter. Best $200 i've spent on something as solid as this. 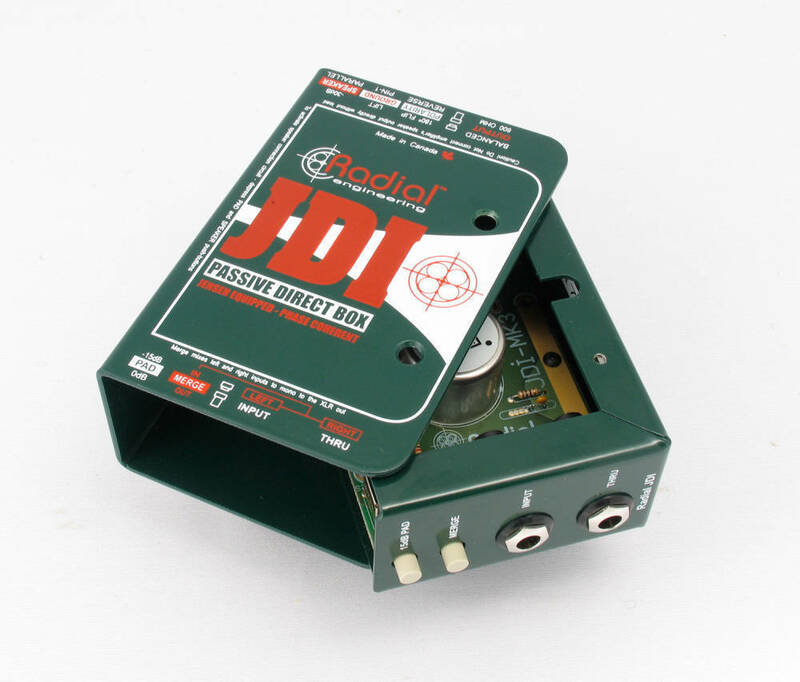 Description: Radial president & CEO, Peter Janis explains the JDI direct box.